Unique serving bowl set assembles and collapses with a simple twist. 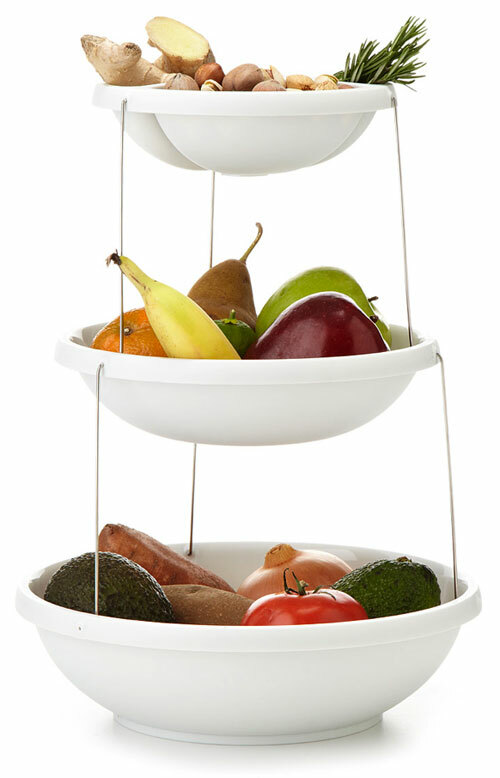 Ideal for parties and gatherings, the set also makes an excellent fruit or snack bowl. The partitioned top tray is perfect for dips, nuts, and candies and three tiers saves space on crowded tables. 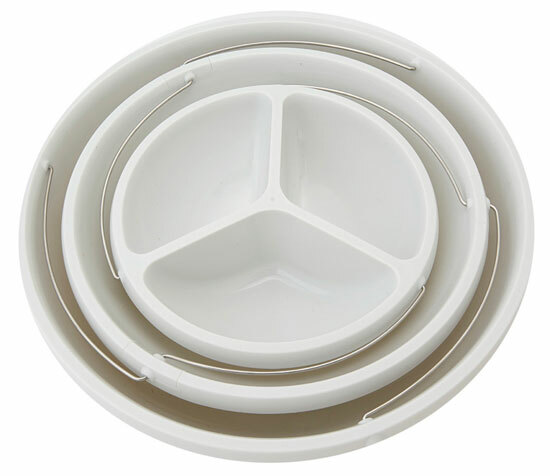 When collapsed, the bowls are nested and held securely in place by hidden magnets.